Unique because of their diverse utilization possibilites are our Flat Lashes in the thickness 0.10cm. They are suitable for both 1:1 and volume technique. Due to a completely new manufacturing process the Flat Lash fibers are pressed, so they aren’t round anymore like the usual lashes but concave. They adjust perfectly to the natural lashes to simplify your work and create a full set of lashes. 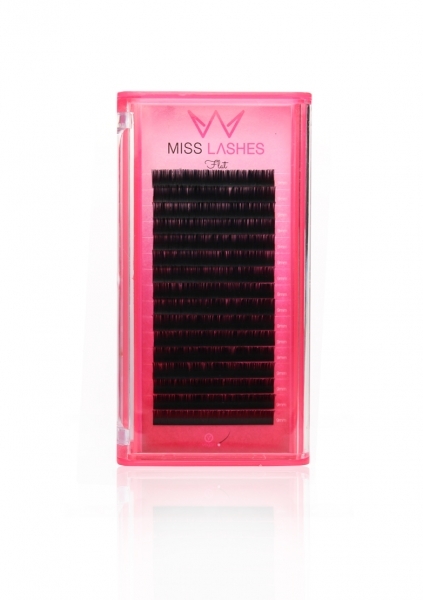 The Flat Lashes ensure an even better durability since the lash adhesive has a bigger adhesion surface. All our lashes are cruelty free and vegan!